Being the head coach of a collegiate athletic team is a tough task. Being the head of two collegiate athletic teams is, perhaps, unenviable. And being the head coach of two collegiate athletic teams without an assistant coach is almost unthinkable. Yet this is the exact situation men’s and women’s tennis coach Jay Tee has had to endure for the past several days. Still, he and the No. 30 Maroons men's tennis are using the situation as a motivator. Tee and the men’s team have been preparing extensively to start their championship season this weekend after last Saturday’s match against Kalamazoo was canceled. Chicago takes on Denison on Saturday and No. 5 Kenyon on Sunday. “We would have liked to play that match [at Kalamazoo] to kind of see where we’re at as a team, but we used the time to get rested and healthy and also to continue working on the court,” Tee said. Denison (12–7) lost to the Maroons 6–3 at home last year. Given that it is the first match of the season, Tee is not worried about Chicago overlooking the Big Red in anticipation for the next day’s match against national powerhouse Kenyon. To defeat the Big Red, Tee plans to use the same lineup he was prepared for against Kalamazoo. In singles, third-year Deepak Sabada will take the top spot, followed by first-year Sven Kranz, first-year Brian Sun, third-year Ankur Bhargava, second-year Gordon Zhang, and fourth-year Zsolt Szabo, respectively. Doubles will feature the top tandem of Sabada and Kranz along with Szabo and first-year Max Hawkins at No. 2. The lineup will be rounded out by Bhargava and Sun at No. 3. The Maroons, which include three first-years in the starting lineup, will need to play at the top of their game to defeat Kenyon. The Lords have had recent success on the national stage, reaching the quarterfinal of last year’s national tournament and earning second place in 2012. One Maroon already has experience playing Kenyon this academic year. 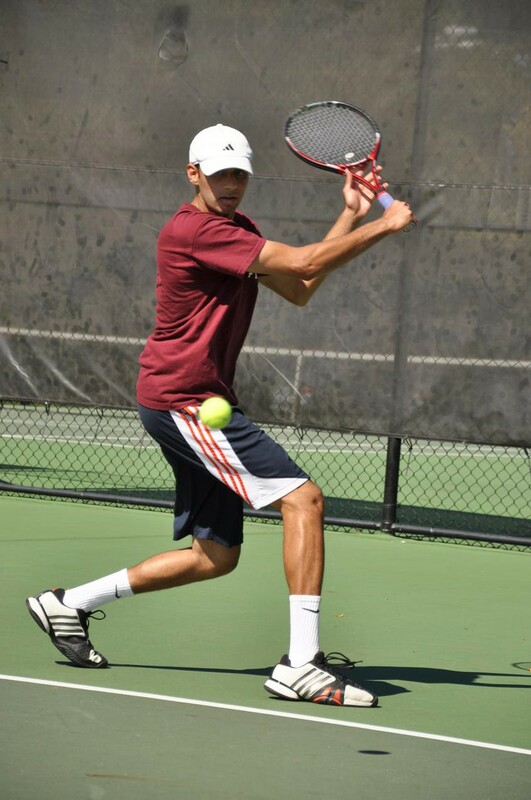 The Lords’ top player, second-year Sam Geier, defeated Sabada in the final of the prestigious ITA Central Region Championships 7–5, 7–6 (7–4) in the fall. Geier was the first player in Lords’ history to win the tournament. Still, Tee said his team has the tools needed to compete with Kenyon. Both matches are going to be played in Kenyon’s home of Gambier, OH. Doubles is set to start at 5 p.m. on Saturday against Denison and 1 p.m. Sunday against Kenyon.